Here at Wholesale Clearance a large variety of stock makes its way in and out of our warehouse, and the vast majority of it is quality merchandise. Occasionally though, we stumble across something so disastrously unprofessional that we’re left with little choice than to sit back and laugh at our own misfortune. 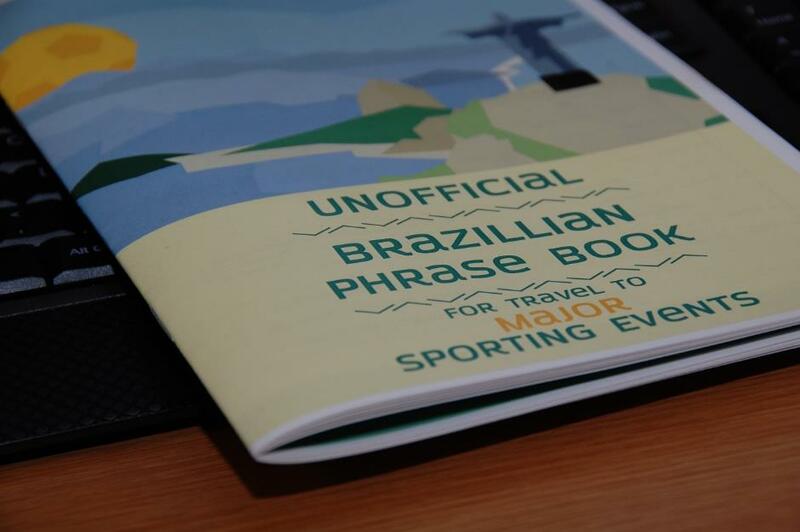 The ‘Unofficial Brazillian Phrase Book For Travel To Major Sporting Events’ by Chinese publishing firm Hao de Fanyí Guides. On paper the product sounded great. Unfortunately, that’s all it’s good for: paper. 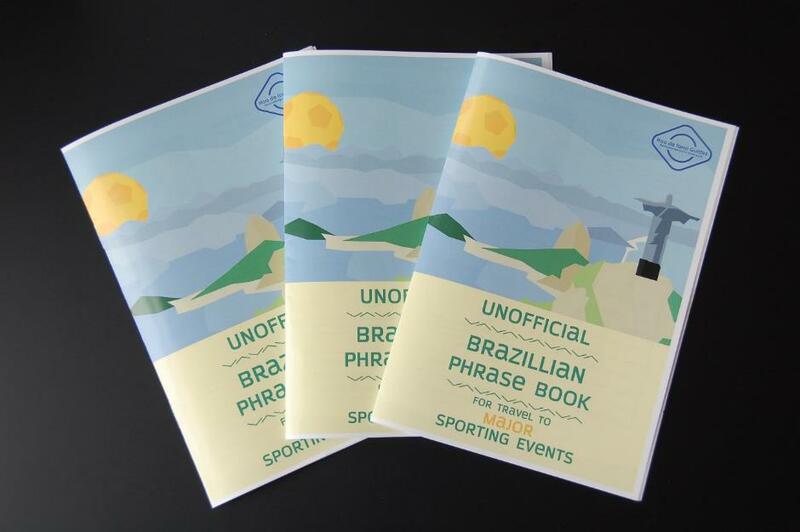 What was advertised as 50,000 orders of ‘pocket-sized bilingual skills, essential for sport-tourists heading to Brazil’ turned out to be more of a catastrophic failure that England’s recent Icelandic bruising. •	A handy pocket-sized language guide. •	Printed and disposable, ideal in a country where smartphones are at risk of theft. •	Specifically produced for the ‘World Sport Cup’, which is a copyright-sensitive way of saying: ‘Games of the XXXI Olympiad’, or ‘Rio 2016’. 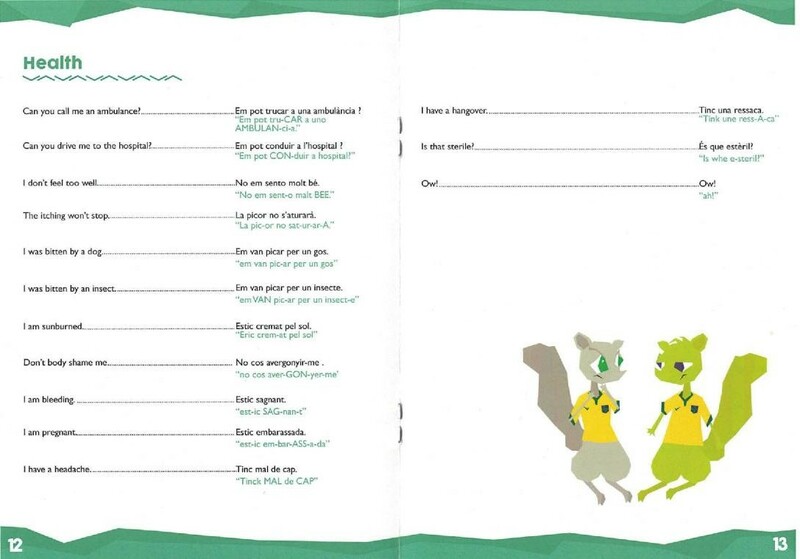 •	Expertly illustrated throughout with two adorable cartoon squirrels, inferring a professional attempt at a well-designed booklet. 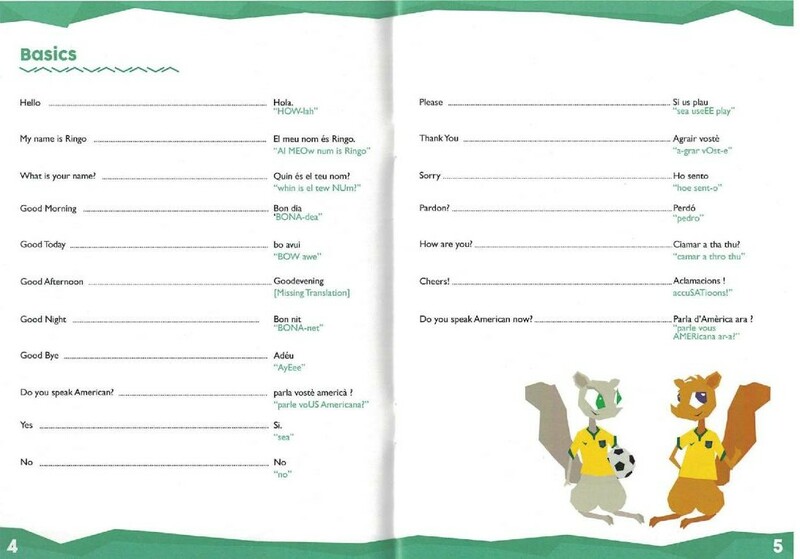 •	Practical sections throughout, including food, travel, emergencies, and sporting phrases. 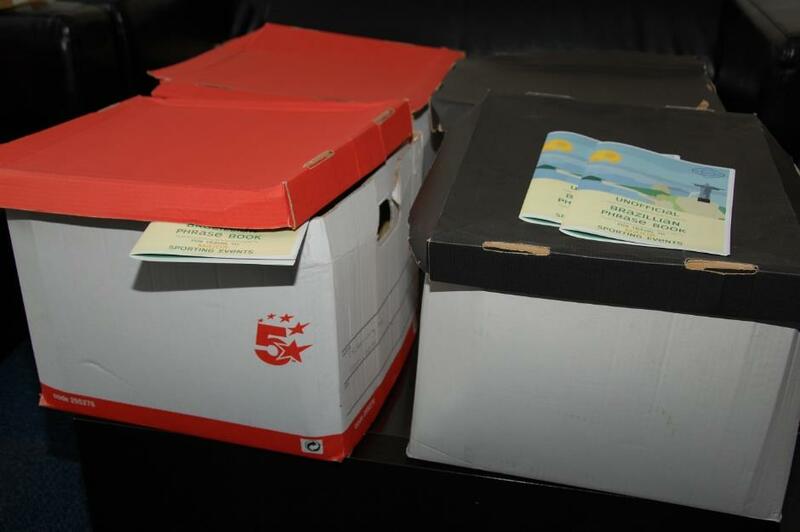 Yep, we have 50,000 of these bad boys. •	Typos throughout, even in the main title. •	A front cover featuring a football as the sun. 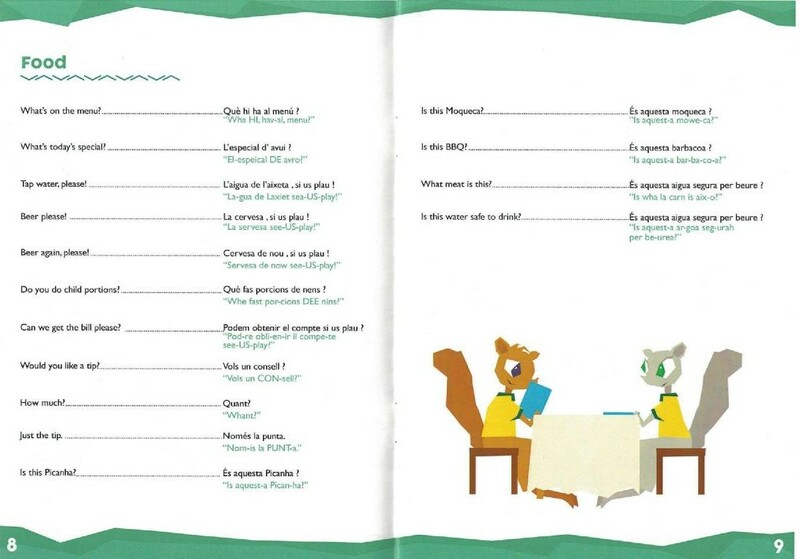 •	Translations that appear to be broken Spanish, most likely taken straight from software. •	The Brazilian flag printed upside-down. 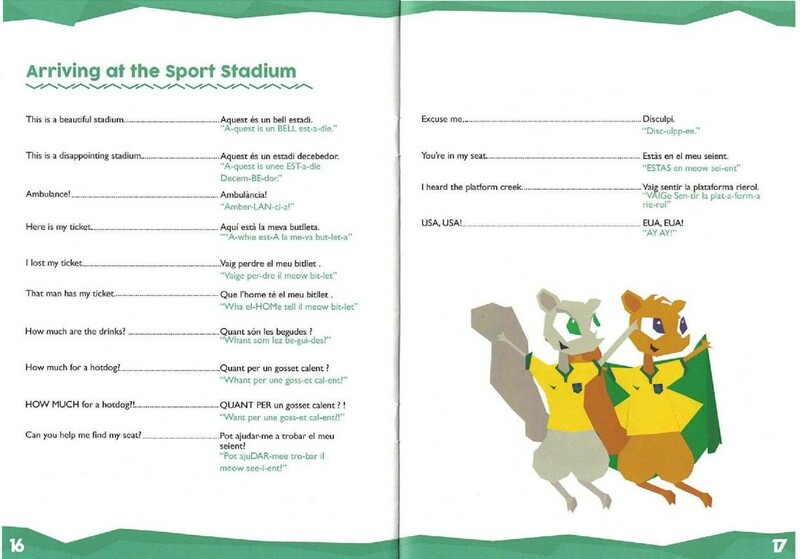 •	Half-hearted attempts at translations, which seemingly bear no resemblance to Brazilian Portuguese or the equivalent substituted ‘garbled Spanish’. 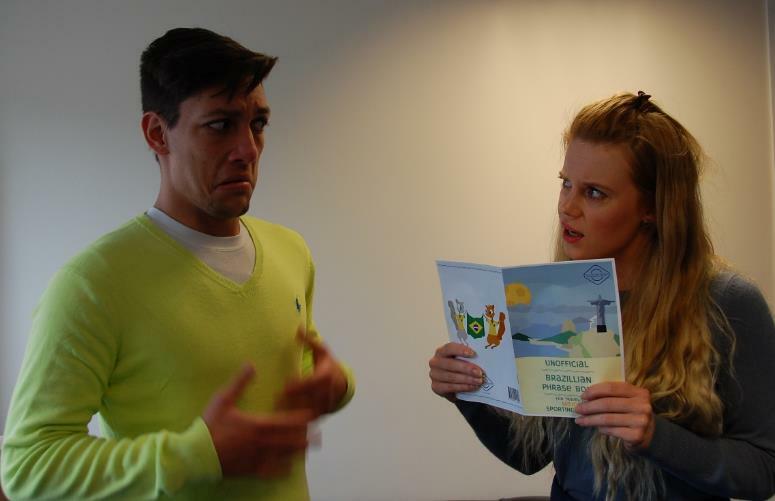 •	Very disturbing content for a family friendly guide- including intimate sexual advice in the ‘relationships’ section, and tips on what to scream during an event of political unrest in the ‘emergency’ section. •	Wonky layout, low quality paper, and printing errors. 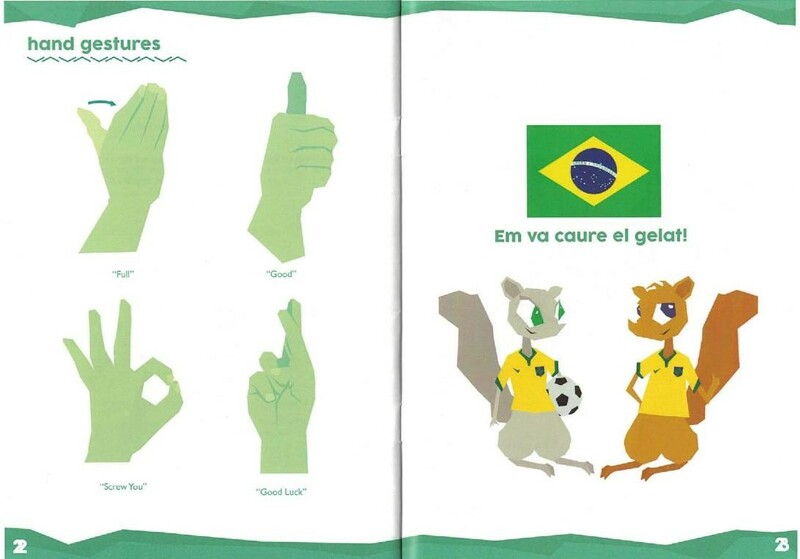 •	Hand Gestures advice including how to say ‘screw you’ just using your hand. •	Cartoon squirrels that may or may not intentionally resemble a crude part of male anatomy. •	Hao de Fanyi Guides’ slogan: ‘We knowledge you’re tourist good’. 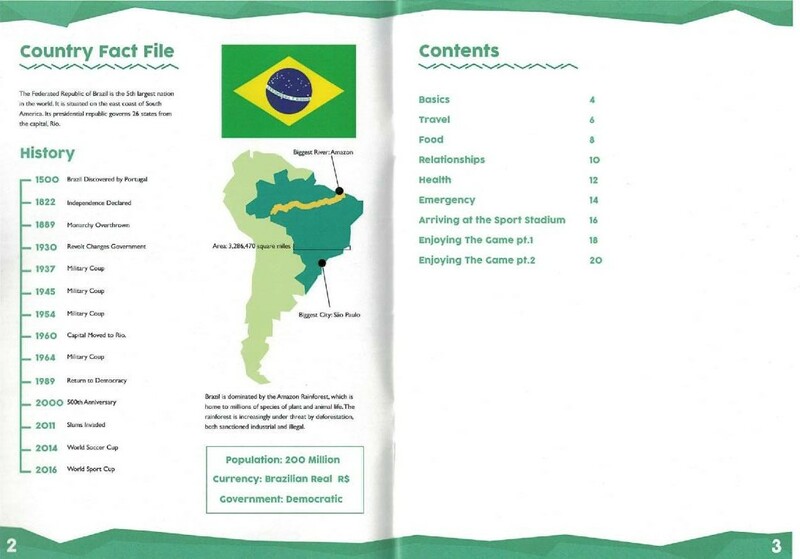 Page 2 reports a colourful history of political upheaval in Brazil’s past. And who said romance was dead?! 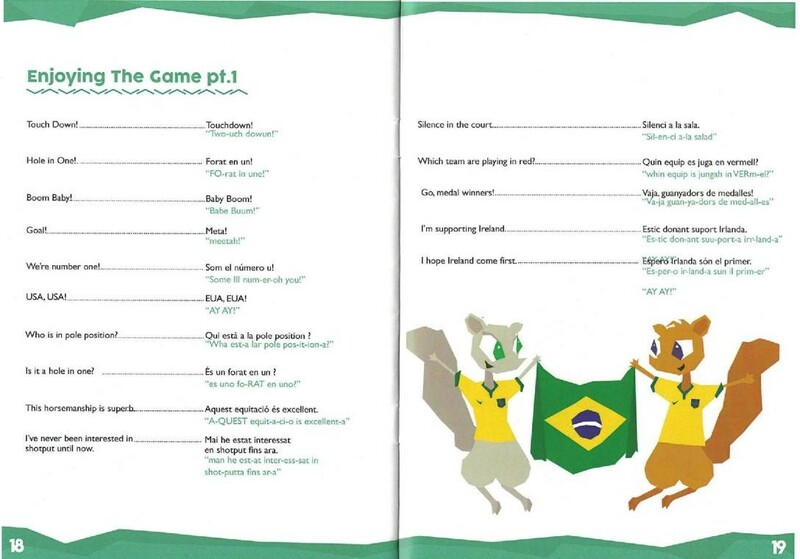 Brazil is a foreign country; they pronounce ‘Ow!’ as ‘Ah!’ there. 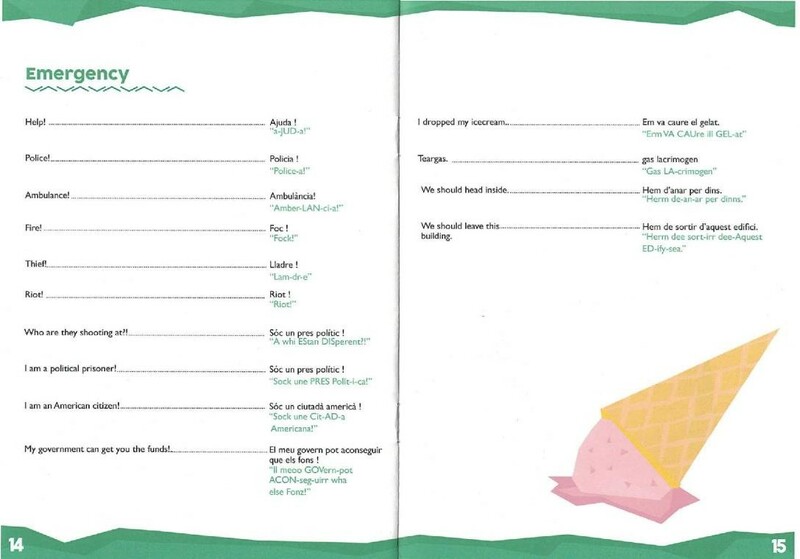 Emergencies include ambulance, fire, hostage situations, and… dropped ice cream. ‘HOW MUCH for a hotdog? !’ might well be the most accurate phrase in this guide. At page 19, the person in charge of quality assurance left to go get their glasses from the opticians. 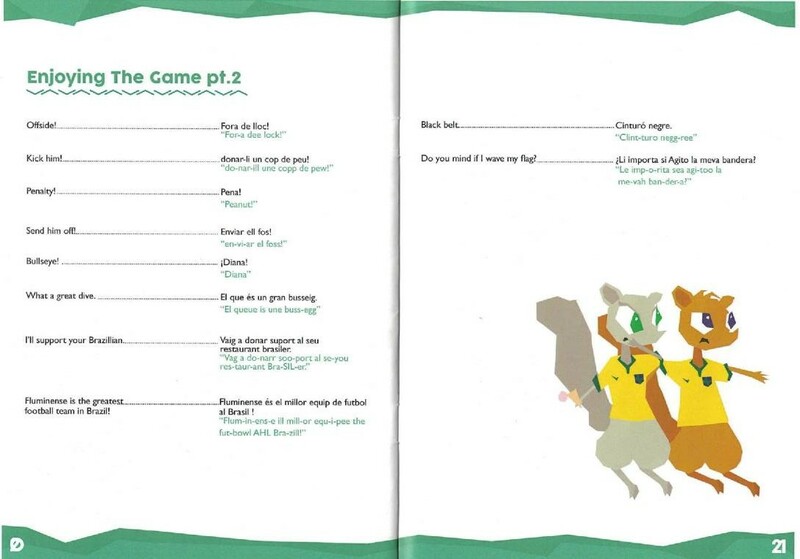 Whoever was responsible for this page clearly knew very little about sport, language, and squirrel anatomy. If all else fails, give your Olympic hosts a thumbs up. 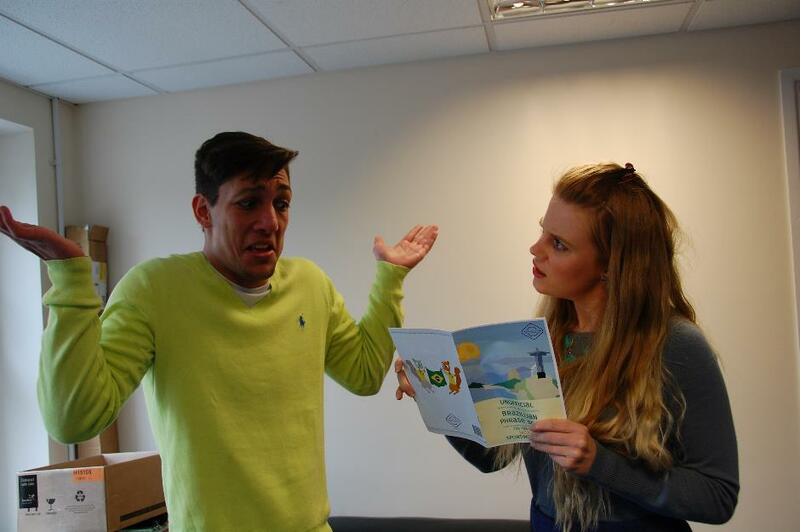 João was offended on national, cultural, sexual, and spiritual levels. Molly’s attempts at the ‘Brazillian’ tongue sounded like something between Welsh and the noise of a Spanish cat drowning. •	We might just post them to our friends across the country who get M&S vouchers from their local council as an incentive for recycling. Do let us know in the comments if you can think of any other uses! 49,999 wonky guides to flush down, 49,999 guides! Which is correct – in Scottish Gaelic. 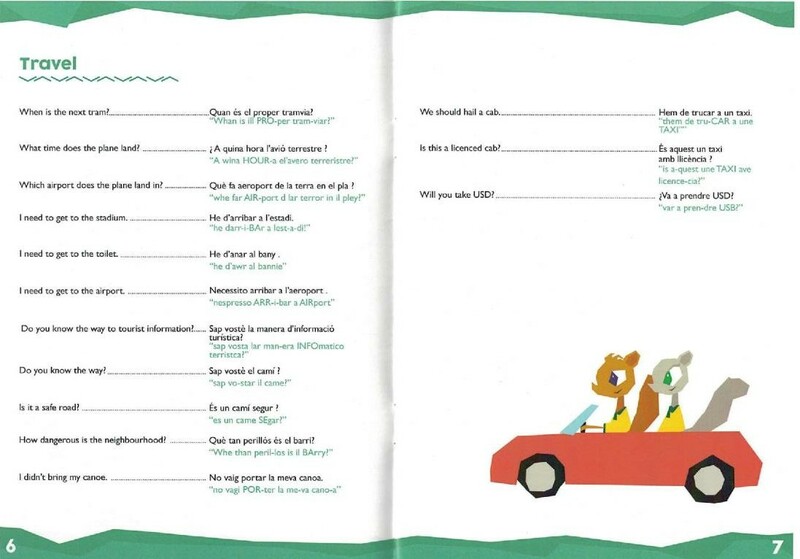 Never thought I’d see my native language in this kind of publication! This is an absolute scream. I must have a copy! Please can I buy 2! 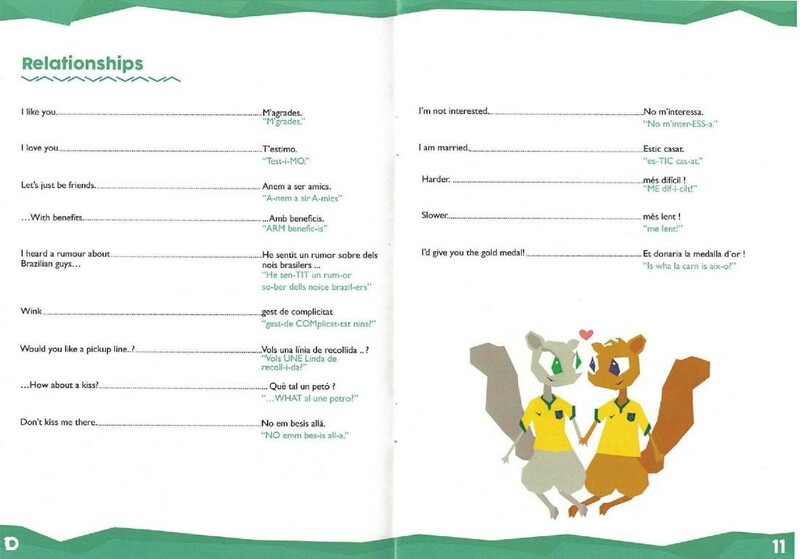 This is PURE GOLD for a Romance linguist. I could read this every day and laugh and laugh and laugh! Please tell me how I can buy a couple of these!